Denial is a strange film to watch during this election season. 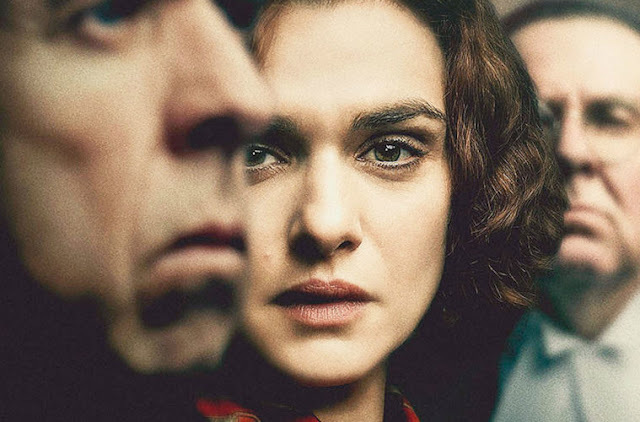 The (true) story revolves around historian and Emory professor Deborah Lipstadt, played by Rachel Weisz, and the libel case brought against her by famed Holocaust denier David Irving (Timothy Spall), who sued Lipstadt in England for defaming his reputation as a historian. Irving took the case to trial in his residence of England because defamation cases are notoriously easier to win there; rather than the presumption of innocence, the courts start with the presumption of guilt and places the burden to disprove libel on the defense. He also likely did it for the media attention it brought to himself and his beliefs - namely that Hitler was not responsible for the Holocaust, and that it may even have been propaganda created by the Allies to discredit Hitler's cause. In an election season that has seen white supremacist David Duke endorsing a presidential candidate and mobilizing his followers around a mainstream political cause, it's hard not to link Irving's media ploy to the present day. Where Denial works best is when it unravels the strategies and logistics in defending Lipstadt in court. Lipstadt, a lecturer used to working the academic circuit, comes into the case with a clear picture of what she wants to do to defend herself. She's ready to take the case of the Holocaust itself to court, enlisting Holocaust survivors as actual eyewitnesses to the event in order to discredit Irving's views. It's surely something she's envisioned a thousand times, practicing the exact lines she'd use to tear him down. But Lipstadt's legal team, Anthony Julius (Andrew Scott) and Richard Rampton (Tom Wilkinson), have a different strategy in mind. They refuse to subject survivors to Irving's mind games, fearful that he'll bully the witnesses, confuse them, or use tricks to provoke them. They also advise Lipstadt not to defend herself in the case either. She must instead watch silently from the sidelines as they slowly undermine Irving's credibility, making the case against him personally rather than against Holocaust denial on the whole. We're currently witnesses to an election cycle that's seen an obvious shift to valuing shock value over policy, truth, or any of the fundamental issues that should underscore a presidential campaign. Whether you lean left, right, central, or completely indifferent, almost any rational U.S. citizen would agree that the likes of David Duke have no place weighing in on our political discourse, but here we are, referring to the "alt-right" on a regular basis and publicizing their latest stunts, normalizing views and behaviors that don't deserve to be normalized. What Denial does so well is showcase the surgical precision needed to credibly and artfully dismantle fringe lunatics in search of a spotlight. That task isn't about yelling louder, getting emotional, or getting personal. The defense refuses to engage in headline-grabbing moments or go for the emotional reactions they'd elicit by letting survivors tell their story. They instead get out of Irving's way and let his lunacy speak for itself, occasionally prodding him on specific details so that he'll further elaborate. This kind of denial of self-satisfaction is, at the end of the day, what Lipstadt struggles with throughout the trial, but what she needs to win. She denies herself the "Emotional Speech In A Courtroom" moment to starve Irving of the attention he wants. I've always been a big fan of Weisz, and she artfully captures Lipstadt in a way that gives her character without making her a caricature, a trap a lesser actress could've easily fallen into. The performances were strong across the board, though, and I'd be hard pressed to name any actor or actress who didn't work here. My least favorite part about Denial were the scenes that felt forced into a procedural story to engender emotion. For a movie that felt like it was about avoiding those kinds of tactics in trial, they felt out of place in the film - small scenes like a lawyer's boyfriend complaining about people not getting over the Holocaust, or Lipstadt saying an emotional prayer at Auschwitz while standing on the ruins of an oven. These are of course completely acceptable ways to frame and discuss the Holocaust, but they still felt out of place in this context. Overall, the film makes a few small missteps in tone and context, but it was well worth seeing and feels particularly relevant in today's political climate. I also wouldn't be surprised if Weisz also ends up with a nomination for her work in this film.